Apple may be releasing a smaller, lower-cost HomePod later this year, according to a report from Taiwan’s Economic Daily News. The new HomePod would reportedly cost between $US150 and $US200. A less expensive smart speaker would help Apple better compete with the likes of Amazon and Google, who both offer $US50 miniature smart speakers. Apple might release a more affordable version of its smart-home speaker, the $US350 HomePod, as early as this fall – and it could be the key to Apple’s smart-home ambitions. A recent report from Taiwan’s Economic Daily News said Apple plans to release four lower-cost products in 2018, including more affordable versions of the iPad, iPhone, MacBook Air, and HomePod. We first saw the story on MacRumors. The new HomePod would be smaller and cost between $US150 to $US200, according to the Economic Daily News, although it’s worth noting the report was translated from Chinese and is unverified. 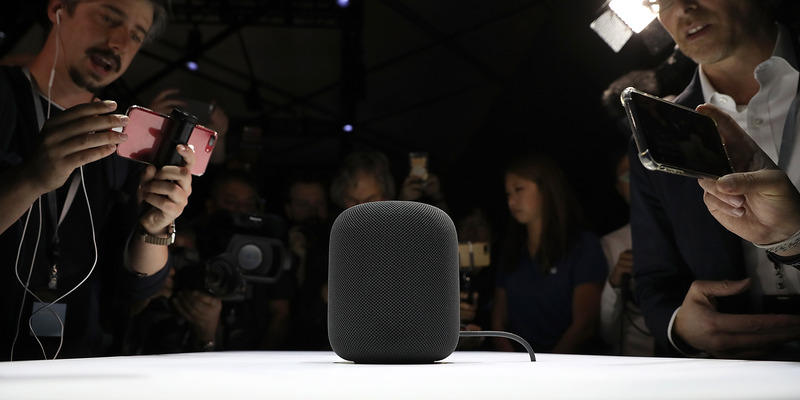 Apple’s HomePod – which was released last month – is Apple’s first foray into smart speakers. The device was lauded for its impressive sound quality, but widely panned by critics for the incomplete version of Siri built-in and its inability to work well with most other music-streaming services. But a lower-cost version would help offset some of the issues people have found with the device. A $US150 speaker that only works with iPhones and Apple Music is much more palatable than one that costs $US350, which could make HomePod more accessible to a wider audience. Justin Sullivan/Getty ImagesThe colourful iPhone 5c. Apple differentiates itself from other makers of consumer electronics in one crucial way: Apple products are also luxury products. Apple’s products are expensive, top-of-the-line devices that are out of reach for many customers. The most recent iPhone costs more than $US1,000, MacBook laptops go for upwards of $US1,800, and the newest iMac Pro costs $US5,000 to start. Apple products may be friendly and accessible, but they don’t come cheap. That said, Apple does have a history of building lower-cost devices geared toward the average consumer, especially in recent years. 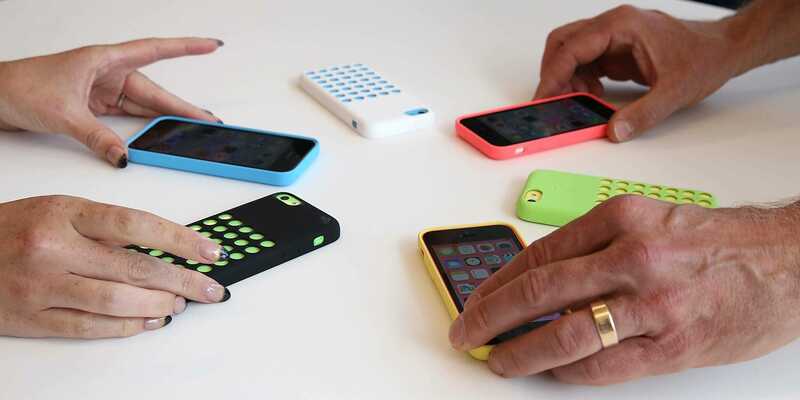 The iPhone 5c was presented as a lower-cost alternative to the iPhone 5s. It debuted in 2013 and started at $US549, as opposed to the iPhone 5s, which was introduced at the same time and started at $US649. And Apple still sells the iPhone SE, which looks like an iPhone 5s but runs like an iPhone 6s – and it’s the most affordable iPhone you can buy for just $US350. Those are only two instances of Apple catering to the lower end of the market, and it has since phased out the iPhone 5c. But there is precedent for Apple trying lower-cost options, which means there’s always a possibility they will do it again. And if this new report is accurate, it looks like Apple is considering low-cost options across several of its most important product lines, including iPhone and iPad. This lines up with a previous note from reliable KGI Securities analyst Ming-Chi Kuo, who predicted Apple would release a more affordable version of the iPhone X with an LCD screen (as opposed to the OLED screen on last year’s iPhone X) this year. When Amazon and Google entered the smart-speaker fray, they started with one standard-sized, somewhat expensive device. The original Amazon Echo retailed for $US200, while the Google Home cost about $US130. Shortly thereafter, both companies added miniaturized versions of their smart speakers that came in at a more accessible price point. Amazon has the Echo Dot, a $US50 smart speaker that’s about the size and shape of a hockey puck. The device has been a runaway hit for Amazon: During the holiday season, the company has now sold out of Echo Dot speakers completely for two years running, and the Dot finished the season as the top-selling product overall on Amazon. Google’s version, the Home Mini, has only been on the market since last October. It’s similarly tiny – although it looks more like a macaron than a hockey puck – and also costs $US50. Google recently said it sold more than one Home smart speaker device every second since October. While it didn’t break out individual sales figures for all three of its Home devices, it’s a safe bet that the Google Home Mini was a top seller, thanks to its low price point. These tiny smart-home speakers are already more affordable than their “original” counterparts, but they can get even cheaper. 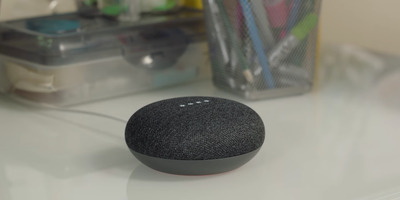 Google and Amazon frequently offer discounts for their respective Home Mini and Echo Dot devices – typically around $US20 off – and during the holiday period, retailer Walmart offered a $US25 voucher for the Google Home Mini, which means that consumers could essentially buy the device for $US4. Perhaps more importantly, both Amazon and Google ensured their smart assistants – Alexa and Google Assistant, respectively – worked the same no matter which device you’re using, and that’s one place where Apple currently falls short. Apple has built Siri into a number of devices at this point – the iPhone, Apple TV, HomePod – but it doesn’t quite work the same way on every product. Siri on iPhone is arguably the “smartest” version of Apple’s assistant, but it remains less powerful than Alexa or Google Assistant. One would think the HomePod might take that title, as it would be a true smart speaker for the home, butmany reviewers called the HomePod version of Siri “embarrassingly inadequate,” “underpowered,” and “an exercise in frustration” – and in my own limited tests of the device, I found it lacked some of the features we’ve now come to expect from a smart speaker. Part of what makes the Google Home Mini and the Amazon Echo Dot so successful – besides their size and price point – is that they’reno less powerful or helpful than their larger counterparts. You’re not sacrificing “smarts” by buying the cheaper option. A $US150-200 HomePod certainly wouldn’t compare with the likes of a $US50 device from Google or Amazon, and it still wouldn’t be truly accessible to everyone.But it would help Apple rope in the more hesitant customers on the fence about HomePod – and help Apple better compete in the already highly competitive world of smart speakers.